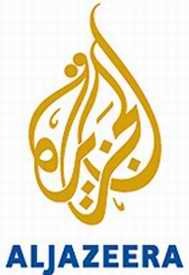 Al Jazeera is Middle Eastern news service based in Qatar that competes with the likes BBC World News. It seems to provide a balanced view of world news, perhaps modelled on the BBC, as opposed to the more propaganda based services along the lines of RT from Russia. Balanced reporting on Middle Eastern affairs doesn't seem to go down well in Middle Eastern countries, who clearly would prefer something a little more under their control. So these other countries are putting a lot of pressure on Qatar to silence Al Jazeera. 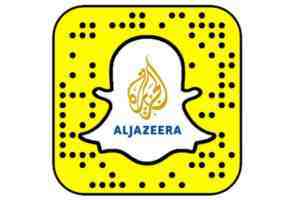 The latest example of such censorship pressure is that the social network service, Snap has been censored in Saudi Arabia over its inclusion of Al Jazeera in its Discover App. Snap has now complied with Saudi censorship demands to remove news outlet Al Jazeera's curated content from its Discover Publisher Channels in Saudi Arabia. Discover is Snap's digital media selection of content tailored to a young audience. We find Snapchat's action to be alarming and worrying. This sends a message that regimes and countries can silence any voice or platform they don't agree with by exerting pressure on the owners of social media platforms and content distribution companies, This step is a clear attack on the rights of journalists and media professionals to report and cover stories freely from around the world. Annabelle 2 is a 2017 USA horror mystery thriller by David F Sandberg. 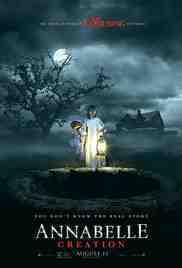 Starring Miranda Otto, Philippa Coulthard and Stephanie Sigman. The new horror film Annabelle 2: Creation was scheduled to debut in Lebanon this past weekend but authorities decided to pull the film from theaters because clergy found it offensive to the Christian faith. According to Lebanese daily Annahar, movie theaters throughout the country were asked to hold off on running the film for further deliberation because Christian leaders took issue with some of its scenes. Cinemacity, however, confirmer that the film was definitely blocked and will in fact not be screened in the country at all. The movie was reportedly screened for the General Security's Censorship Bureau earlier in the month and then was passed on to the censorship committee. Annahar reported that Catholic Priests Fr. Abdu Abu Kasm and Fr. Athanasius Shahwan were both present at the censorship committee's screening. Father Shahwan had the final word and he demanded that the film be blocked over scenes that are considered offensive to Christian faith. The specific scenes in question were not mentioned but many believe the objection comes from the fact that nuns are the ones being victimized in the movie's plot.